This week I have a finished thing, started a new thing and made a flight of fancy. I saw this lovely star design on another blog, and on finding out that the pattern for the star square was from a book, I decided to work it out myself. I did seem to remember (obviously wrongly) making loads of these squares, but when I dug them out from the corner that they were lingering in, there were only just a handful, so I made a few plain ones and striped ones to fill it out a bit. This is one of those times, that I wish I had written down what I did....but hey, I didn't and I will have to work it out another time when I have the time to do so. This blanket was made in Stylecraft for ease of washing and drying. The second item that I have just begun is my temperature blanket. I have sectioned up temperatures in 3 degree increments and allotted each range a colour. 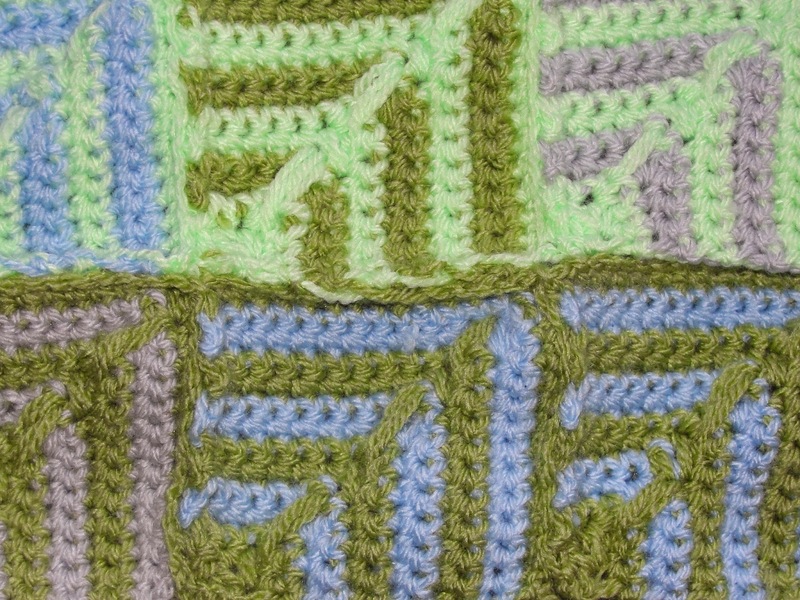 Each day I am using the highs and lows to make these lovely squares, taken from Snowcatcher's blog. Such a well written pattern and great explanation as to joining as you go (which I am not doing because of the construction of my blanket). Last thing is my flight of fancy, taken from a book I picked up from the library....not sure why....just because. This bear had the odds stacked against him, as sewn on nose, mouth and eyes were called for, but then to top it all...ears sewn on too. I think the first mistake was the eyes which looked alright, but were maybe not, and then the ears sewn at a jaunty angle made everything a bit squiffy...ooops! The pattern also has a hoody, which I hope to make this week...maybe he can pull his hood up and hide his 'bad ear' day. Ah...but he's still smiling eh! Lastly......but not leastly.....I received a wonderful package from across the pond from the lovely Sue from Mrs. Micawber......it was a Saturday late afternoon, so I placed it at the bottom of the table (out of sight but not out of mind) until I could cook for and feed the boys. What a sweet gift to receive. I love your well-loved teddy. It vintage. That blanket is extraordinary. Makes me think of the Wild West. Love the star blanket, it's fab. 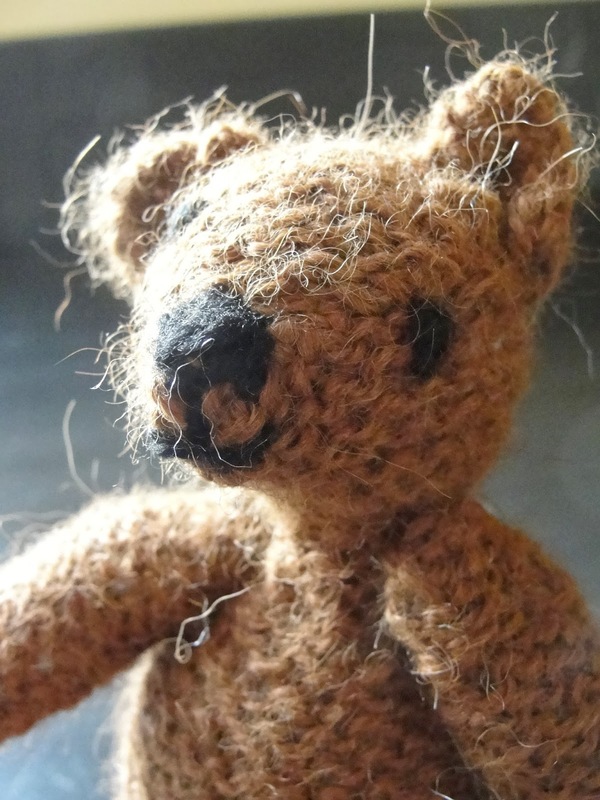 The teddy is very cute too, he certainly has character. The wee teddy is just so cute, he has a lot of character about him, exactly as a teddy should. Beautiful star blanket too. Wow you've been busy and ted is very cute. How fab you had the makings of the baby blanket on hand with a little couple of additions. I'm off now to find out what a temperature blanket is. I think your blanket is even nicer with the variety of squares ... and the star squares do look intriguing. 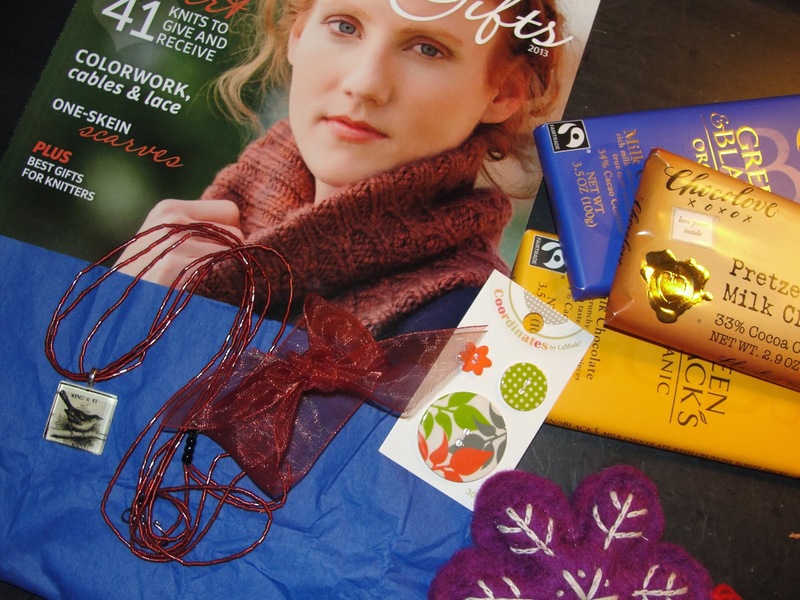 How fun to see Snowcatcher's name on your blog - she is a great pal of mine and so creative. Looking forward to seeing your temperature blanket when it's done! Kuddos on the Star blanket, it looks absolutely stunning! And what fun to chose colors by temperatures! I love Teddy, he's so jaunty! Love the star blanket and if you ever remember how you did it would love to know, it's just so perfect for a boy. 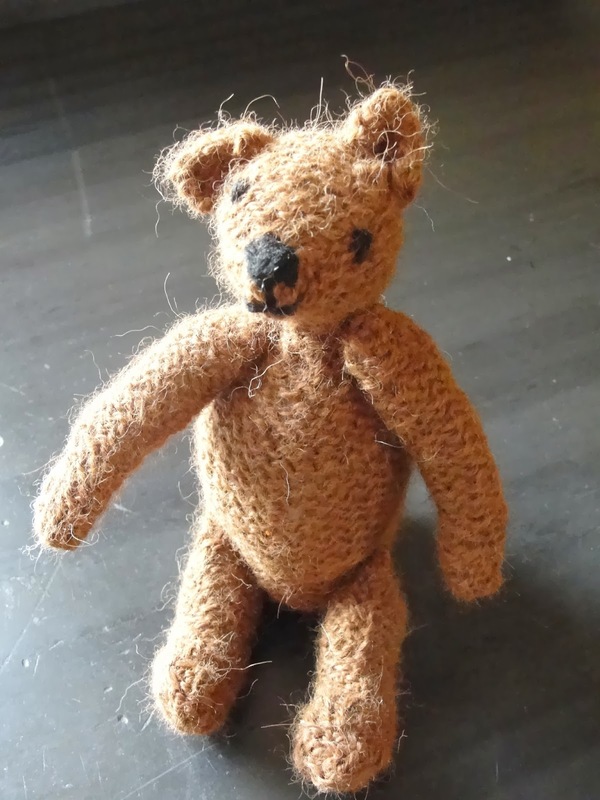 Your teddy is so cute and what a lovely present to get in the post. Not sure how or why I've been missing your updates but I have and your holiday looked like such good fun hope you all enjoyed it. OMG! I should never look at your blog because whenever I do I end up wanting to make everything you show. The blanket is fantastic and I like yours and the original so now I'll have to make 2! See what you do to me? But I do love stars. I'm more a star person than a heart person and that's the first star crocheting I've ever seen so of course I'm ecstatic! I've seen the temperature blanket but still haven't quite got it figured out but I'm sure I'll have to make one someday. The bear is so sweet! I love it as is! It looks like it's already been loved by someone....adorable! Please share when you get the hoody done. I started looking at your trip photos...beautiful but I was getting lightheaded just looking at the pictures...I have a terrible fear of heights! But I did enjoy them as I will never go there...for sure now! LOL! SO glad you were able to though and that heights don't bother you. What's funny is I love great scenery and mountains but scared to death to go near them for real. Well, I have to go and order that book and supplies for my new projects....tee hee! 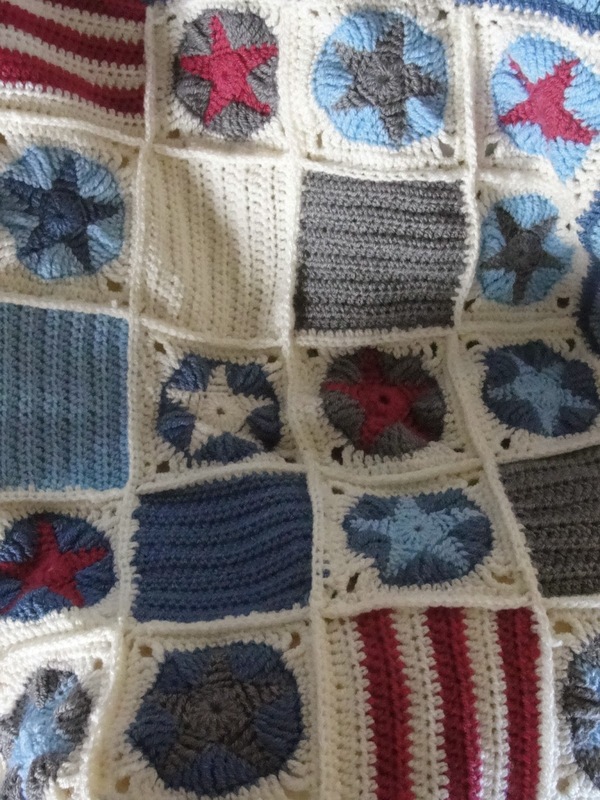 Love your star blanket Faith and how you've mixed the stars with plains and stripes...it's gorgeous! Hope you're all having a great week Faith! How could anyone not love that darling if slightly lopsided bear! Awwwww, that bear!! I am in love- he is such a cute character. And I really love the star motif in your blanket, too.